Subway Removal of Ingredient Creates Stir - Subway came to the realization that its customers are not fond of consuming a chemical, azodicarbonamide, that is not only in the bread served at Subway, but also happens to also be found in yoga mats. GM Expands Recall to Over 1 Million Vehicles - In a recent report, General Motors has expanded a recall regarding compact cars. A problem with the ignition in the vehicles has been responsible for up to thirteen deaths. Illinois Supreme Court Grants Jurisdiction to Sue French Company for Product Liability - The Illinois Supreme Court has ruled that French company SNFA can be sued in Illinois for product liability, even though it is not registered to do business in the state and there are no charges of wrongdoing in Illinois against the company. Ford Facing Product Liability Class Action Lawsuit Over Unintended Acceleration - A class action product liability lawsuit has been filed against the Ford Motor Co. on behalf of plaintiffs in 14 states. Skechers Product Liability Claims Pile Up Before Class Action Deadline - Last year, Skechers agreed to set up a $40 million product liability fund to settle the claims in a class-action lawsuit filed by consumers who suffered ankle injuries caused by using the company’s Shape-ups. Imprelis Class-Action Product Liability Settlement Approved by Federal Court - The federal judge in the U.S. District Court for the Eastern District of Pennsylvania has given his preliminary approval for the Imprelis class-action product liability settlement. Bayer Faces Mirena Product Liability Lawsuit - Pharmaceutical giant Bayer AG is facing a potential class-action product liability lawsuit filed by a Pennsylvania woman who claims the company did not properly disclose the health risks of their Mirena birth control system. New Hampshire Product Liability Lawsuits Against ExxonMobil and Citgo - After a decade of filings, motions and preparation, the MBTE product liability lawsuit trial against ExxonMobil and Citgo is finally about to start. Flushmate Gets Another Product Liability Class Action - The exploding toilets which forced a massive recall for the Flushmate III have led to another product liability class action claim being filed a federal court in Pensacola, Florida on behalf of a man from Escambia County. Merck Settles Coppertone Product Liability Class Action - When Merck & Co. acquired rival Schering-Plough Corp. in 2009 for $41 billion, Merck also had to take responsibility for a 2003 product liability lawsuit filed against Schering-Plough over its Coppertone sunscreen products. J&J Agrees to $600,000 in Product Liability Settlements for Hip Implant - Back in 2010, Johnson & Johnson’s DePuy division recalled 93,000 ASR hips that had been sold all over the world on the grounds that more than 12 percent of the hip implants failed within five years. Bard Must Pay $5.5M in First Product Liability Lawsuit - A California jury awarded Christine Scott and her husband $5.5 million in a precedent setting product liability lawsuit filed against C.R. Bard Inc. due to injuries caused by the company’s Avaulta Plus vaginal-mesh implant product. Maclaren Takes On Bankrupt Distributor's Product Liability Claims - U.K.-based MacLaren, which produces strollers and carriers for babies, has agreed to take on the product liability lawsuits of its bankrupt American distributor. GlaxoSmithKline Plc Agrees to $3 Billion Product Liability Settlement - Pharmaceutical giant GlaxoSmithKline Plc finally caved after battling seven years of federal investigations into and agreed to a $3 billion product liability settlement with the U.S. government. Product Liability Lawsuit Filed in Sushi Salmonella Case - A product liability lawsuit has been filed against Cupertino, CA-based Moon Marine U.S.A. Corp., also known as MMI, for importing and distributing a product that is used to make Sushi which caused a multi-state Salmonella outbreak. Stun Gun Company Sued in Liability Suit - One of the largest stun gun manufacturers Taser International Inc., was sued for just over $6 million over the death of a California man who was shot during a police altercation with a stun gun made by the company. Brazilian Blowouts: Product Liability Class Action Settlement - In North Hollywood, hair straightening product Brazilian Blowout made people bleed from their nose, accompanied by breathing problems and eye irritation. Coffee Makers Recalled After Burning Consumers - Eighteen individuals, including a 2-year-old toddler, have sustained second-degree burns from defective Tassimo coffee makers and exploding discs, leading to a recall across North America. Johnson & Johnson Hip Recall - Johnson & Johnson recently announced they are taking quarterly charges of over $3 billion due to the recall of an artificial hip. Chrysler Recalls select V-6 Powered Dodge, Jeep, Chrysler Models - Chrysler has recently announced a recall after a regularly scheduled audit procedure. Harmful Dietary Supplements Seized by the United States Food and Drug Administration - At the request of the U.S. Food and Drug Administration, U.S. Marshals recently detained raw supplies. U.S. Food and Drug Administration and FTC Warns Corporations Selling Harmful HCG Products - The U.S. Food and Drug Administration and the Federal Trade Commission (FTC) recently sent seven warning notices to corporations selling over-the counter (OTC) HCG pills that are being marketed as “homeopathic” for weight loss. Recall of Salad Products Due to Salmonella Risk - A facility in Cincinnati, Ohio, Greencore USA, Inc., has issued a recall on roughly 57 pounds of salad products containing poultry and meat. Update Regarding Cantaloupe Recall, Mystery Still Remains - Eric Jensen looks at the rows of cantaloupes in his field and seems just as surprised and confused at the bad fate that has his crop become a victim of row upon row of rotting melons on the vine. 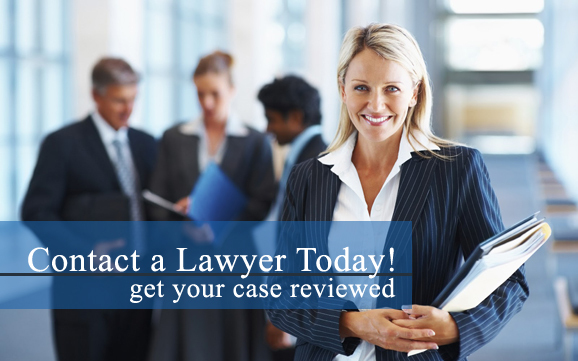 Have you been injured due to a defective product? If so, contact a product liability attorney in your area to discuss your legal options today.